Enjoy your fireplace with peace of mind and schedule a visit from our professional chimney service today. 301 Chimney of Hyattsville, Maryland has more than 40 years of experience chimney cleaning in Washington D.C., Maryland, and Virginia. Our professional chimney service also provides masonry and brick work to area residents. 301 Chimney offers a variety of professional chimney sweep services, from cleaning and relining to waterproofing, caps, and dampers. Even if your chimney isn’t used every day, it’s important to keep it regularly maintained. Animals, dirt, and debris can build up inside and eventually make its way into your home. By hiring us for a regular chimney cleaning in Washington D.C., you can avoid all of the hazards a dirty chimney can produce. If you can’t remember the last time you had your chimney cleaned or inspected, 301 Chimney will ensure that everything is in top condition. Call our professional chimney sweep today at (301) 699-6050 or visit our contact us page to connect with us via email. Your chimney should be cleaned regularly from top to bottom. Chimneys are common places for birds and small animals to build nests which can block the flow of fumes and smoke. Chimney cleaning will also ensure that there is no build-up of soot or other debris. During a chimney cleaning it should be possible to assess the state of your chimney liner. All chimneys are specially lined in order to control the flames and keep the fumes from escaping. A good chimney lining also preserves the integrity of the chimney, reducing the likelihood of cracks that can lead to structural damage. Your chimney should be relined when there are signs of age and decay. In some cases, the chimney may need more than maintenance. If the chimney has suffered damage, repair is essential. Even small damages can lead to dangerous complications that are simply not worth the risk. Chimney repair can be completed on any part of the chimney in order to keep it secure and safe for future use. 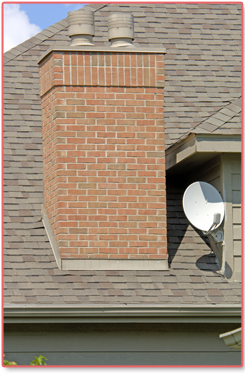 Even if you do not plan on using your chimney often, maintenance is still important. Many professionals recommend using chimney caps and dampers when a chimney is not in use. Chimney caps and dampers are designed to close off a chimney from the outside. This process can ensure that nothing gets inside the chimney, which minimizes the risk of animals getting inside and air getting out. However, these caps and dampers must be installed by a professional. You must have a cap removed If the chimney is going to be used again. • Bird & Animal Removal & Guard Installation & more!